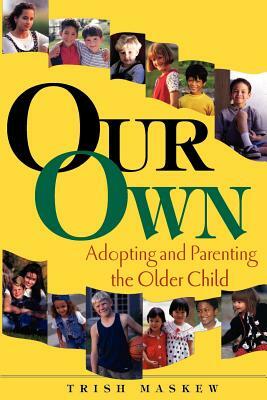 Drawing on the author's experiences, extensive research, and interviews with dozens of adoptive families and adoption professionals, this handbook of older child adoption covers attachment, family adjustment, remedies for difficult behaviors, language acquisition, birthfamily and cultural ties, grief and other "core" adoption issues, and medical and mental health issues. "an important reference for anyone considering the adoption of an older child, either from the domestic foster care system or from overseas." -- Lois Melina, author of Raising Adopted Children. "Raising adopted children is not the same as raising birthchildren, as Maskew knows, and she offers ideas and advice that are both practical and extensive." -- Library JournalSelected as Outstanding by Parent Council .